Situated in Walkerton’s East Ridge Business Park, the Walkerton Clean Water Centre’s (Centre) 19,150 square foot facility is located within reasonable driving distance to southern Ontario’s major metropolitan areas. 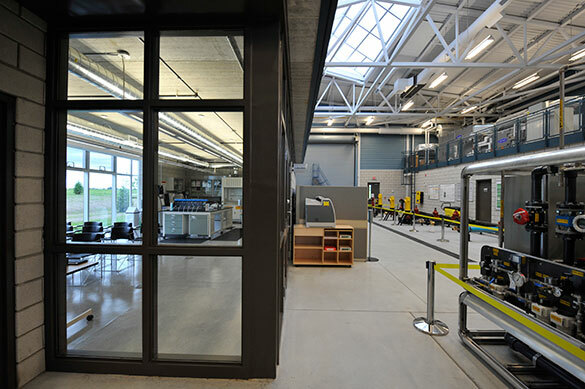 The Centre is a Leadership in Energy and Environmental Design (LEED) facility, featuring a Technology Demonstration Facility, three training classrooms, a laboratory and boardroom. 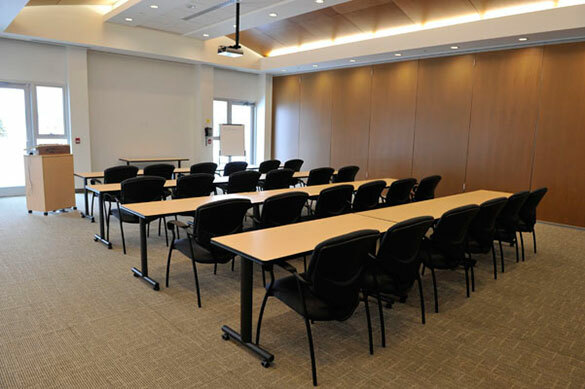 The Centre’s modern facilities are designed to comfortably deliver training. Parking with designated carpool and alternative fuel space are available. The Technology Demonstration Facility provides a unique platform for hands-on training and practical research for operators and other drinking water professionals. It features the latest conventional and advanced water treatment and control technologies, indoor and outdoor pilot distribution systems, training classroom and a laboratory. The Centre encourages people to visit the facility and take either a non-technical or technical tour. Participants on tours will receive a presentation outlining the Centre and our services, an overview of the LEED certification of the facility, and a brief tour of the Technology Demonstration Facility, including pilot plant and laboratory.